After a 35-day partial government shutdown, Congress passed a temporary three-week spending bill without — you guessed it — H-2B reform language. It was a long shot that H-2B would be included in the temporary spending bill, but advocates for the program, including AmericanHort and the National Association of Landscape Professionals put on a full-court press with their congressional advocates. Only days before the vote to reopen the government, U.S. Senators Angus King (I-ME) and Thom Tillis (R-NC) and Representatives Chellie Pingree (D-ME) and Andy Harris (R-MD) sent a letter to congressional leadership pleading that H-2B reform be included in any bill to fund federal offices. As all of you are aware, we have been working in a bipartisan, bicameral fashion for years to find an acceptable, permanent legislative solution to the problems plaguing this program. Our work has had one goal: to provide the appropriate amount of nonimmigrant, temporary workers needed to supplement our American workforce and sustain our economy. The letter was signed by 31 Senators and 96 members of the House. Advocates have plans to attempt another effort to insert the H-2B reform measures into the next bill that will keep the government open. The deadline for passing this bill and avoiding another federal government partial shutdown is approaching quickly: Feb. 15. While our last attempt to squeeze H-2B reform into this narrow window was not successful, it’s important to keep the pressure on. With more than 100 new members of the House and Senate this session, getting our message across will take a sustained and persistent effort. Keep telling your story to your congressmen and senators. Whatever happened to the new pesticide certification regulations? On another front, you may recall that in the waning days of the Obama administration in January 2017, the EPA approved final regulations that tightened requirements for pesticide certification. (See Landscape Management January 2017). The impact of these changes was not felt by the landscape contracting industry immediately for a couple of reasons. First, for the most part, pesticide certification programs are administered by states under delegation agreements with the EPA. States have three years — until March 6, 2020 — to submit plans to the EPA for implementing the new regulations. Then EPA has up to two years to review and approve those plans. Consequently, it could be 2022 before any changes would be felt by landscape contractors, depending upon how quickly their state had its plan submitted to the EPA and approved. Second, many states, such as Pennsylvania, had already incorporated many of the changes in the EPA regulations into their pesticide certification programs. The new regulations would make few discernible changes in these programs. When the Trump administration came into office, there was talk about rolling back the implementation schedule for these new pesticide certification rules or perhaps even making wholesale changes. However, the EPA has reaffirmed that the initial implementation schedule for the regulations will not be changed and that state plans will be due no later than March 2020. Nonetheless, rumors of a further delay in implementation and changes continue to swirl. Learn more about these coming pesticide certification changes here. To learn more about where your state is in the development and submission of its plan to the EPA, contact the agency in your state responsible for administration of the pesticide regulations. In most states, this is either the agriculture or the environmental protection department. 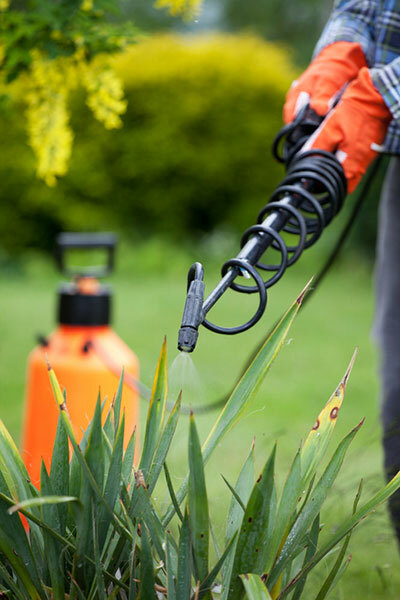 If you’re uncertain about what agency administers the pesticide certification program in your state, this website will help you locate contacts for your state agency. Gregg Robertson, Landscape Management's government relations blogger, is a government relations consultant for the Pennsylvania Landscape & Nursery Association (PLNA) and president of Conewago Ventures. From 2002 until May 2013 he served as president of PLNA. Reach him at gregg.robertson@conewagoventures.com.